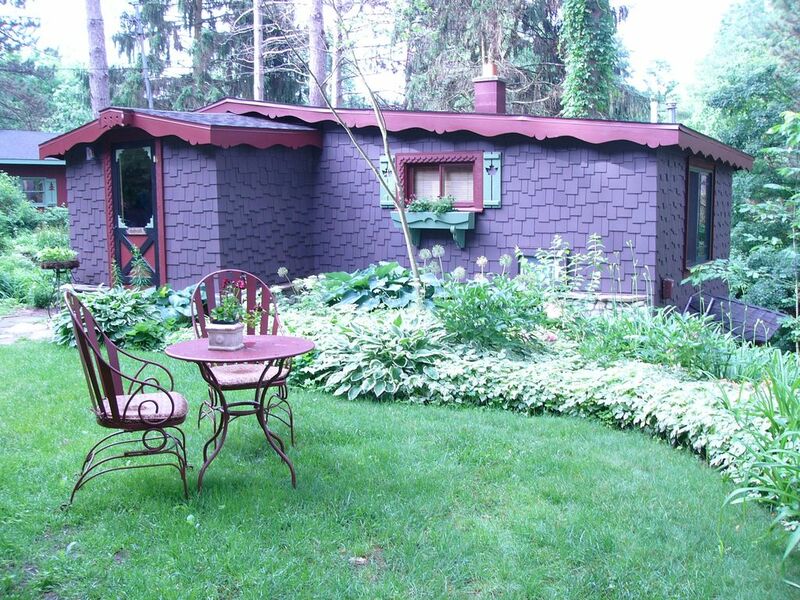 Experience Northern Michigan's beauty and charm at the "Cottage Garden." The "Cottage Garden" is nestled among perennial gardens and towering white pines on Lakeview Lake just outside the village of Lake Ann, 15 minutes west of Traverse City. Enjoy the many perennial gardens while watching the white-tail deer stop by for a drink at the shore or the many species of birds who have made their homes in the birdhouses throughout the gardens. Lakeview Lake is beautiful and offers great fishing including pike, bluegill, and bass, for you to try your fishing skills. The "Cottage Garden" offers one bedroom, two baths, a hide-a-bed in the living room, full kitchen, and laundry. The walk-out patio is perfect for romantic dinners and spectacular sunsets. Dorina, the cottage owner, is also the owner of Design Strategies. Her detail to decorating and interior design is as much a part of the cottage's enchantment as are the gardens. Her history is displayed throughout the property from days spent with her grandpa as a little girl to now raising her own family here. Coming to the cottage is like coming home again. Everyone seems to find a personal touch that stirs up a fond memory of their own childhood or past.